Availability: In Stock. Ships from and sold by McGraw-Hill Education - Europe. Gift-wrap available. Author: Professor RK Mishra, the book contain 52 Chapters, 602 Pages (All pages coloured and plastic coated), 1500 Illustrations, 4 DVDs with 24 Powerpoints and 206 Videos. Foreword: Prof. Steven D. Wexner, Dr. Ray L. Green. 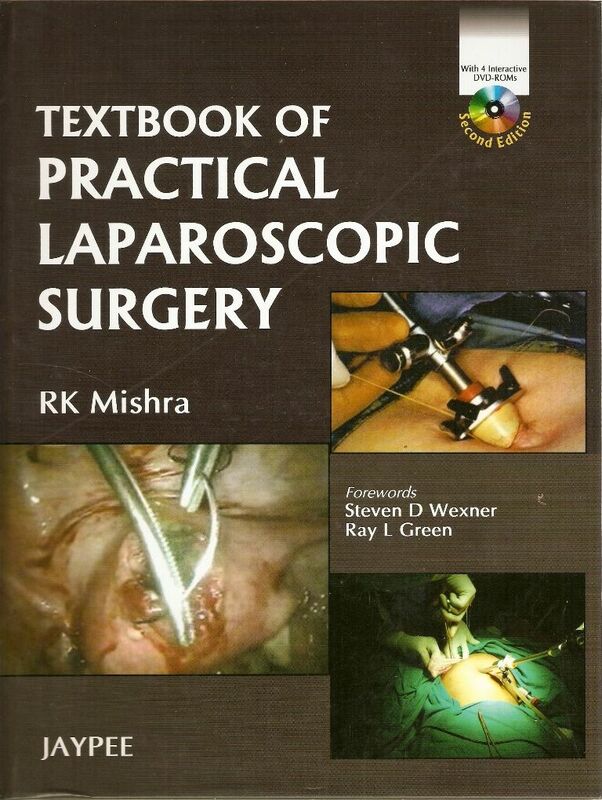 I have seen and read few books on Laparoscopic Surgery; I can confidently say that this book by Professor Mishra is unique. Beautifully written and illustrated. Easy to read understand and learn the art of laparoscopic surgery. It is a must have book for junior and senior surgeon and an excellent addition to hospital and medical school libraries. 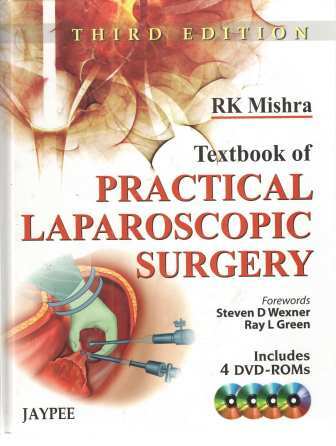 This is a unique, single authored textbook by Professor R.K. Mishra, which attempts to be comprehensive by covering all aspects of laparoscopic surgery. A glance at the 52 chapter 602 pages contents of second edition is sufficient to convince any surgeon and gynecologist that the text is mainly aimed at who have an interest in laparoscopic surgery. The text is divided into several sections and 52 chapters, all pages are having superb colour and plastic finish, the first of which begins with the history of laparoscopy, together with relevant details on basic principle of minimal access surgery and its clinical sciences. The second section of Textbook of Practical Laparoscopic Surgery provides essential information required to undertake laparoscopic surgery safely, including a chapter on teaching and credentialing. Four detailed sections follow, covering in-depth and up-to-date information on basic, operative and advanced gynaecology, including laparoscopic urological procedures in the pelvis, and para-aortic lymphadenectomy. Many chapters are dedicated to general surgery. Total omission of a chapter on laparoscopic colorectal surgery, further underlines this book’s emphasis on gynaecological pathology. This criticism should not detract from the excellent illustrations that are present in most of the, mainly well-written, chapters. The second edition of this book has included all the advanced laparoscopic procedure too. Surgeon and gynaecologists will find the introductory sections helpful in their understanding of the principles of laparoscopy, and they will gain an insight into the more commonly performed laparoscopic procedures in the final few chapters. On the whole this book would be a useful addition to the shelves of medical libraries. There are numerous textbooks on laparoscopic surgery detailing almost every aspect and speciality of the different laparoscopic procedures. However, in this era of evidence-based medicine, a text focusing on the principles of laparoscopy from the laparoscopic gynecology, urology, pediatric as well as the general surgeon´s point of view- is missing. This book of laparoscopic surgery is not intended to be yet another textbook of laparoscopy; instead, its main purpose is to address unsettled issues of controversy. This will significantly enhance evidence-based knowledge of this developing field, stimulate thinking and discussions in rounds and meetings, assist surgeons in their decision making and stimulate further research. This approach will significantly enhance evidence-based knowledge, stimulate thinking and discussions, assist surgeons in developing their skil, decision making, and stimulate further research. Composed by an internationally recognized faculty and Master Minimal Access Surgeon.